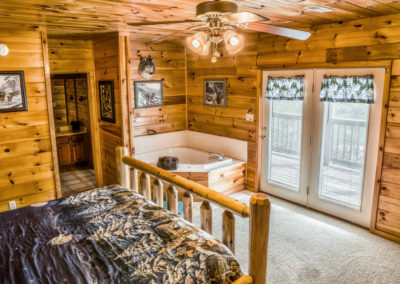 When going to the Smokey Mountains of Tennessee for a relaxing getaway, one thing you do not want to do is to settle for staying in an ordinary hotel room. 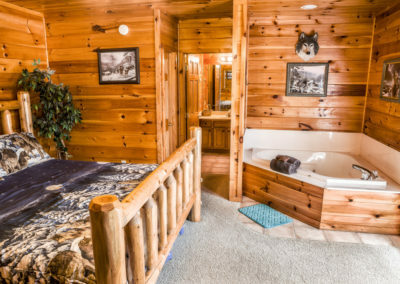 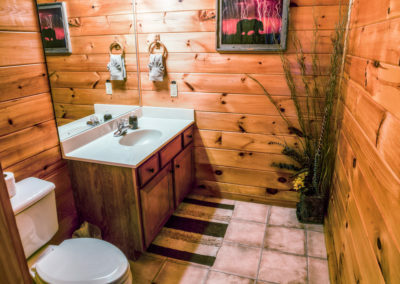 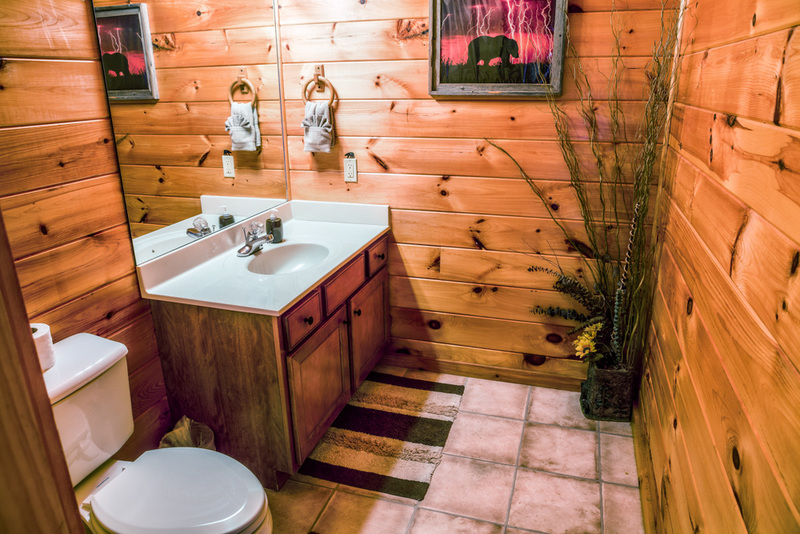 Instead, book a stay for your family in Honeysuckle Ridge’s A Bear’s Eye View Cabin. 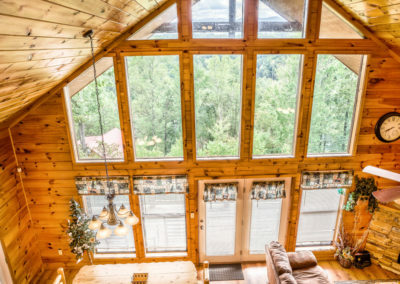 This log cabin nestled amongst the forest commands an excellent and inspiring view of the mountainsides. 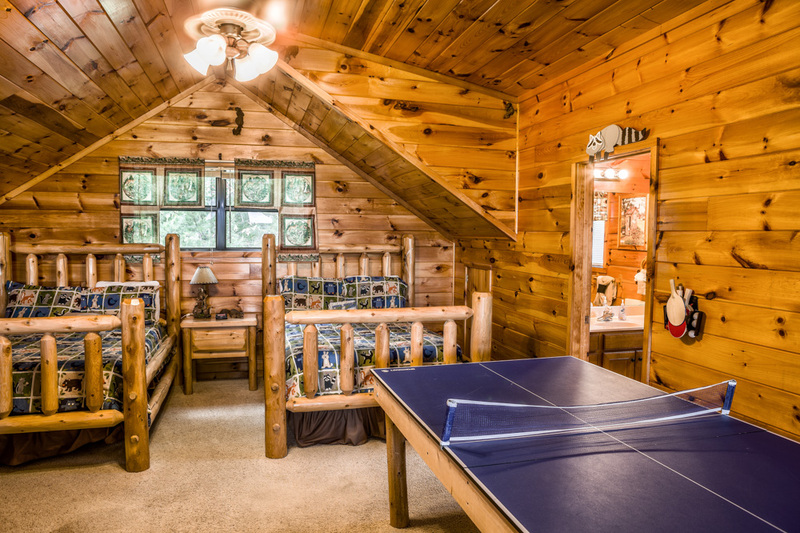 It has three bedrooms and three and a half bathrooms, and can easily sleep up to ten people. 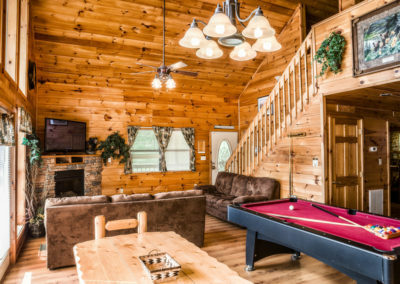 Because of all the space, the tranquility and seclusion, and the wide variety of great amenities, this cabin is an ideal location to stay in for a family vacation or a getaway with some friends. 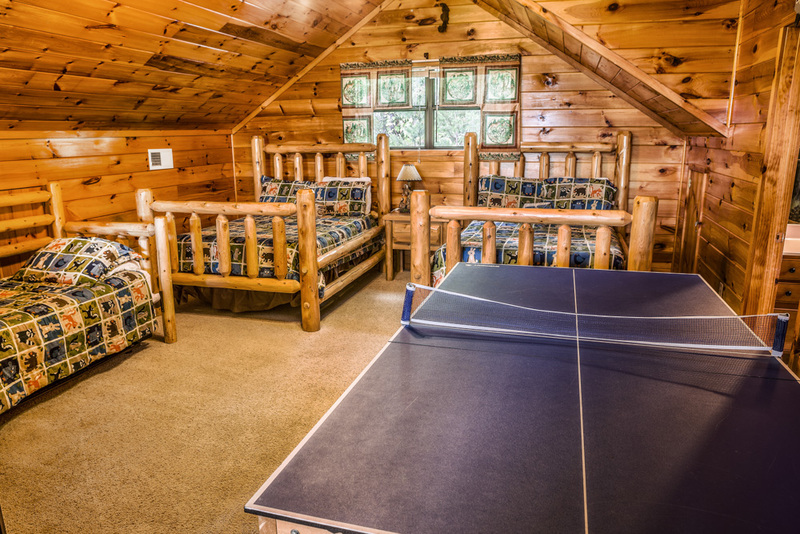 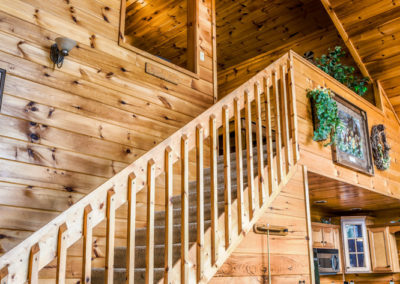 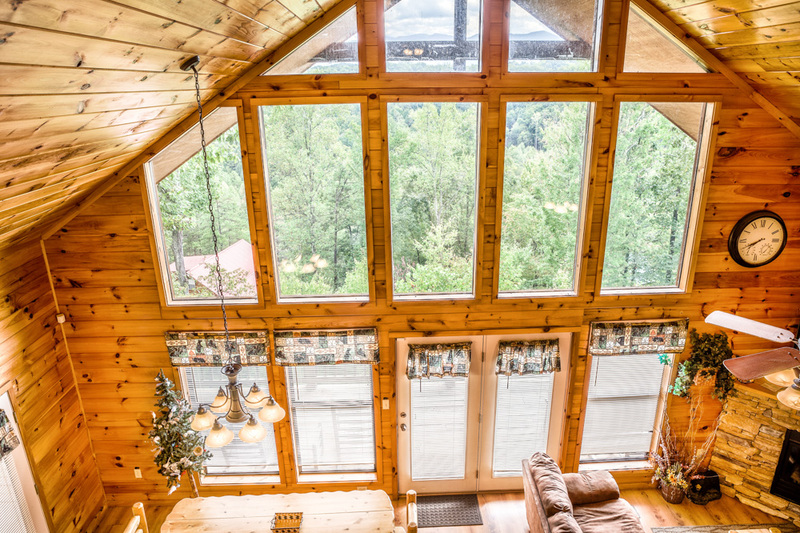 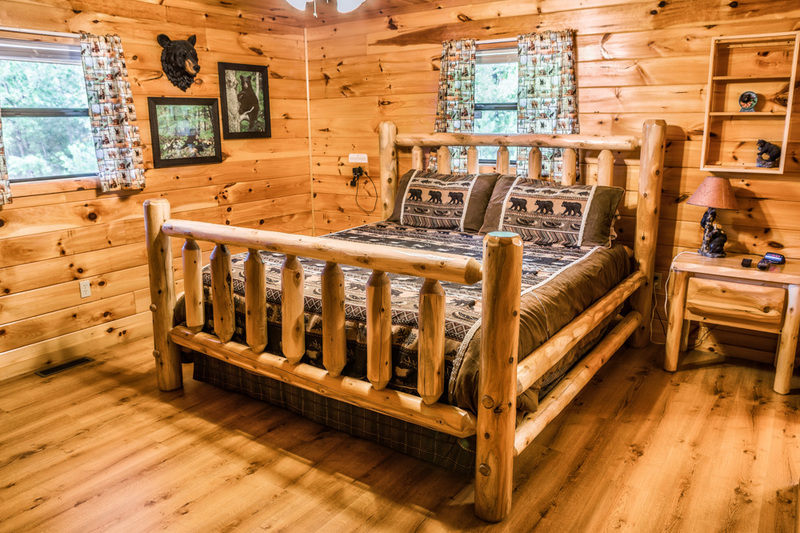 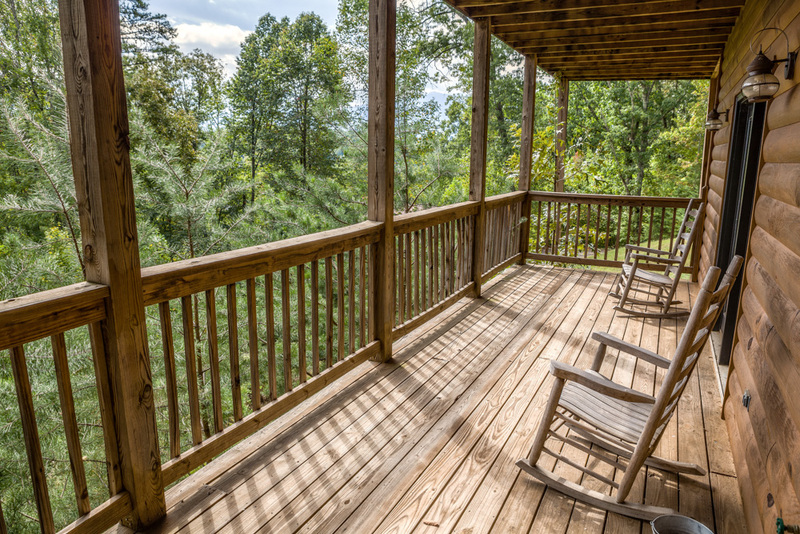 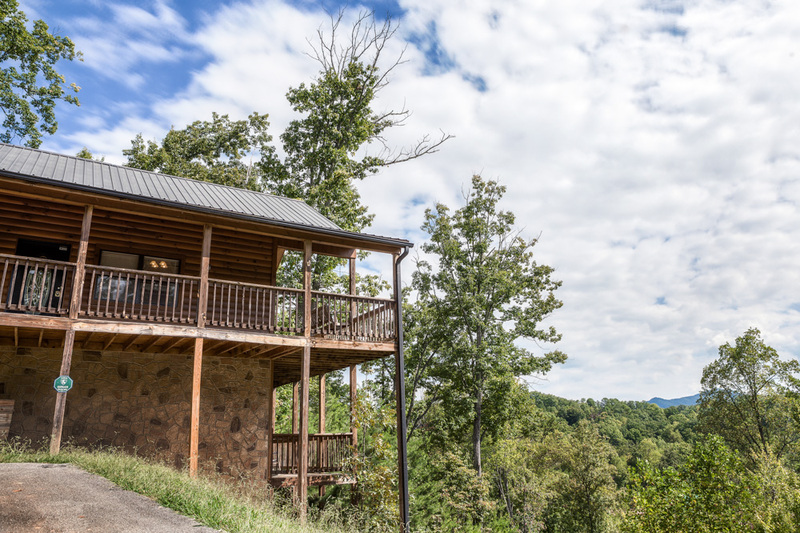 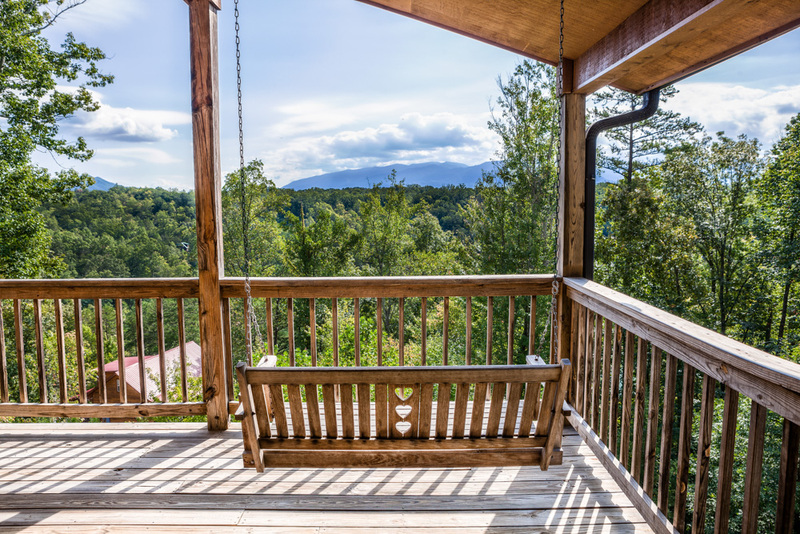 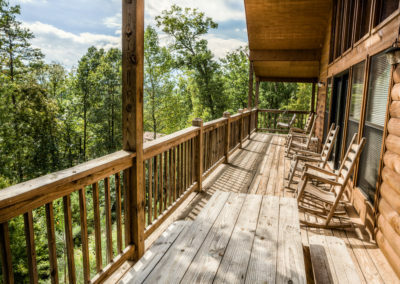 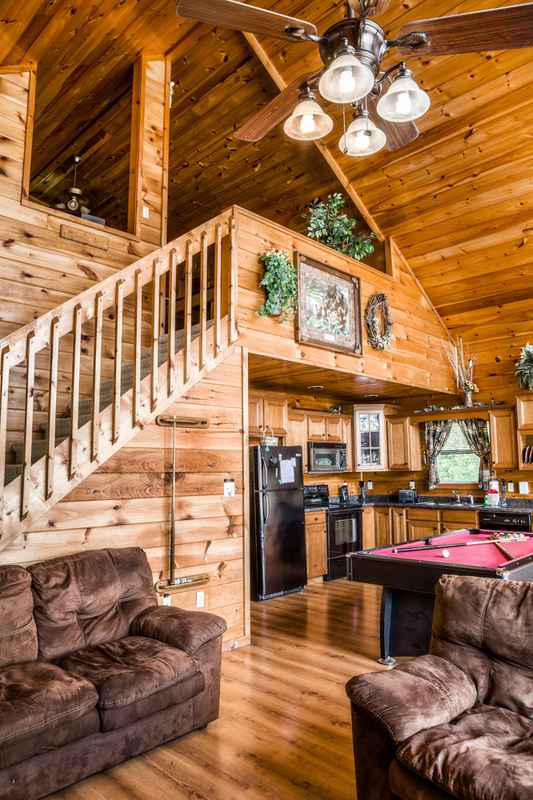 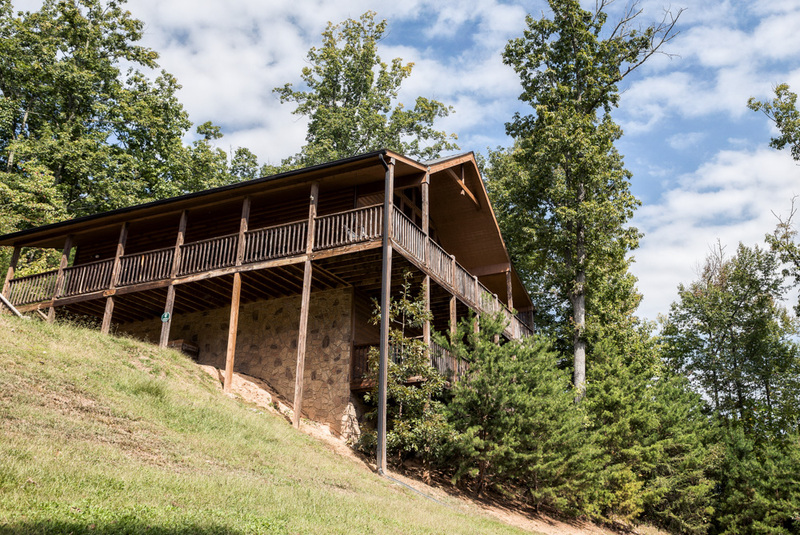 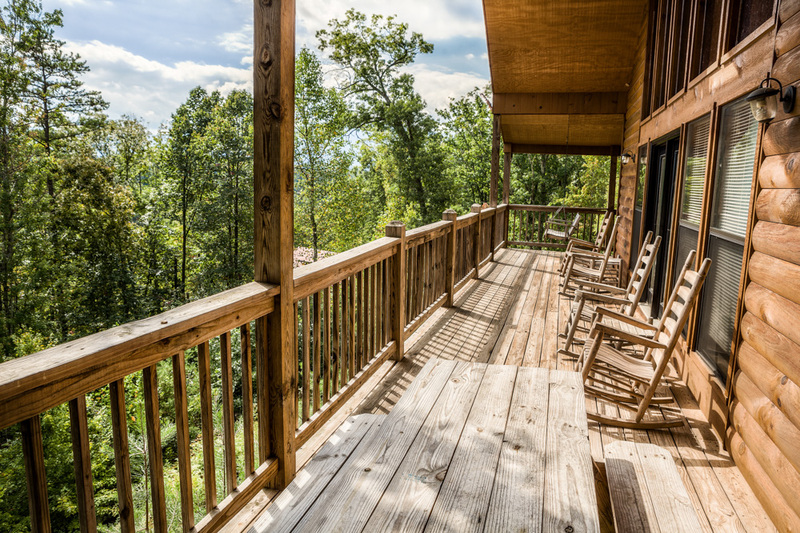 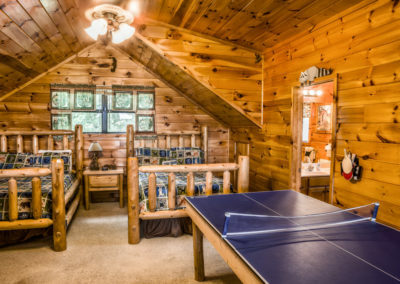 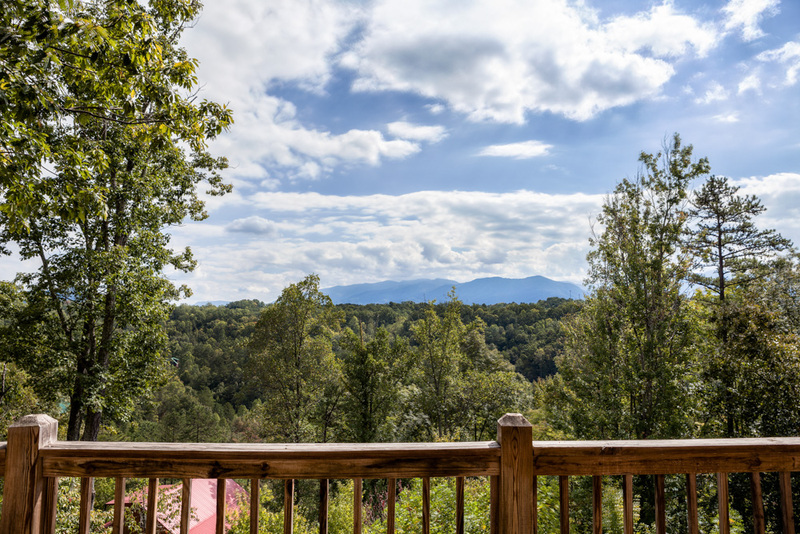 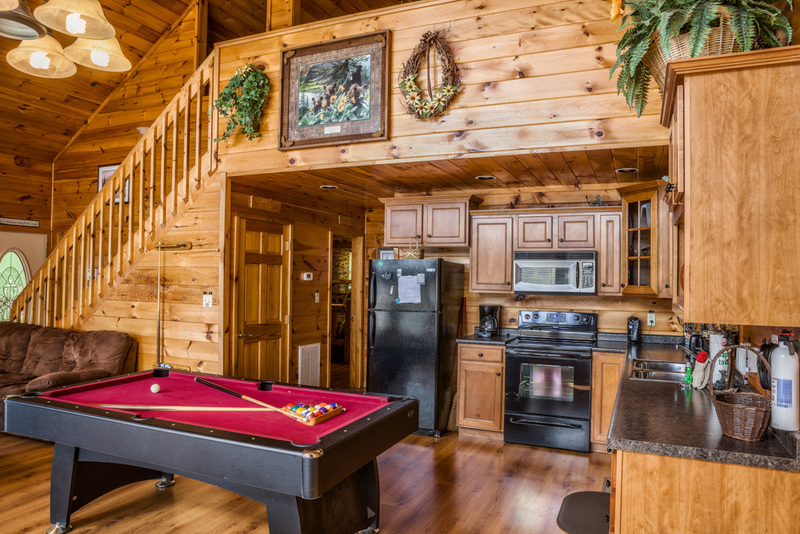 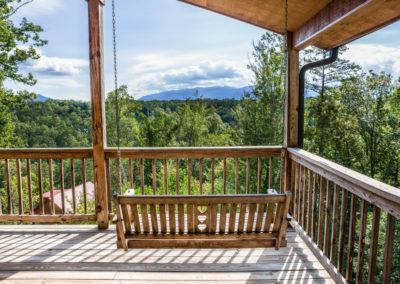 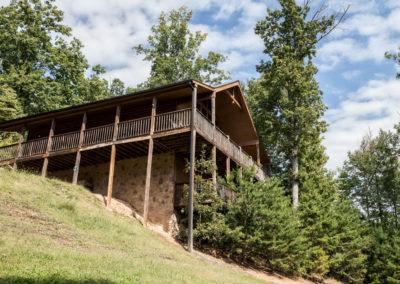 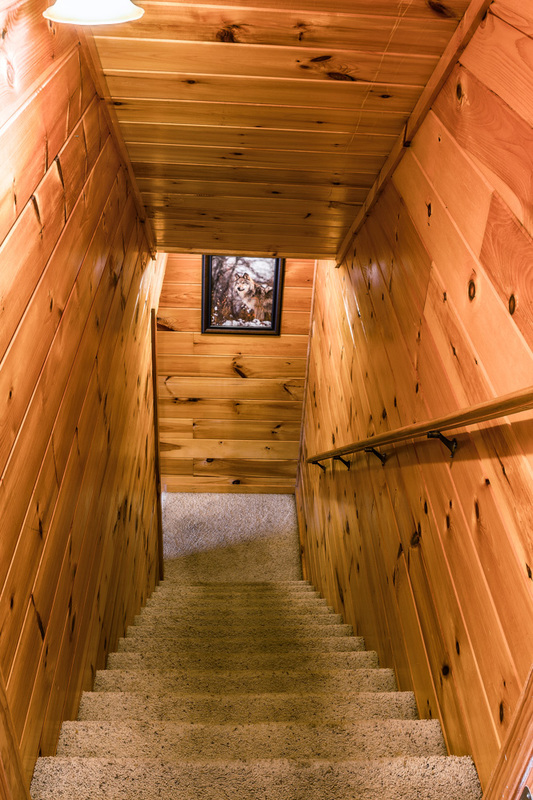 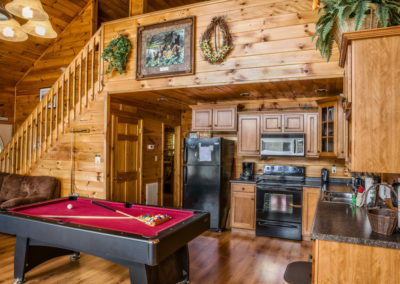 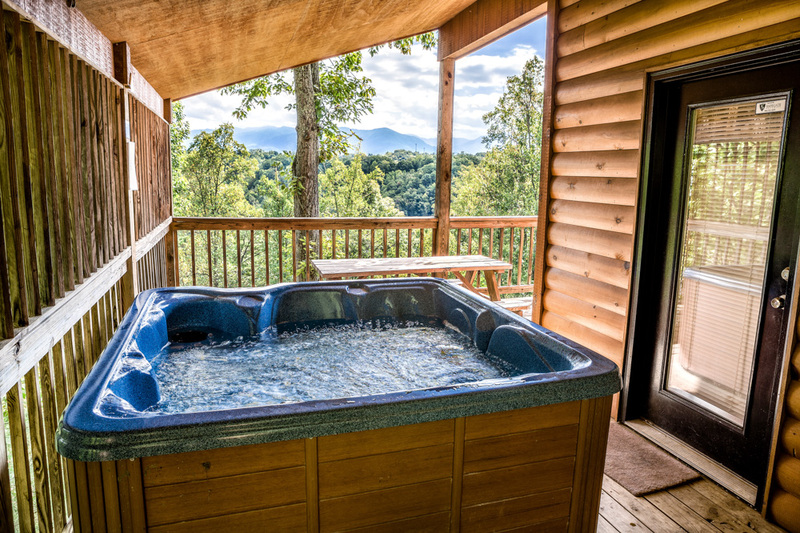 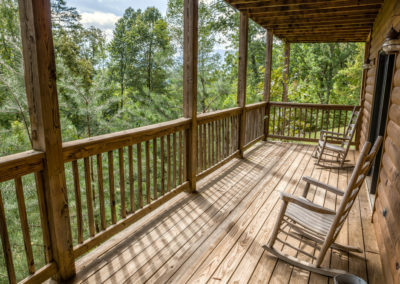 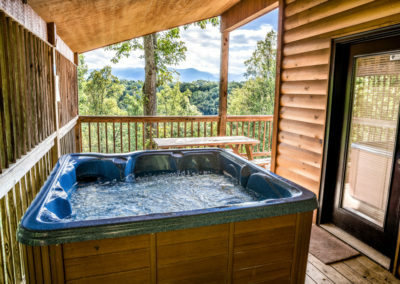 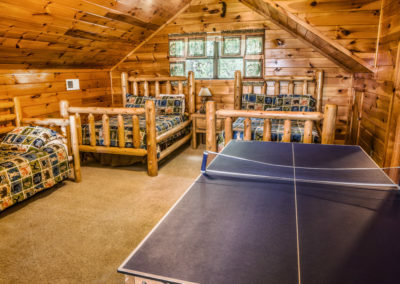 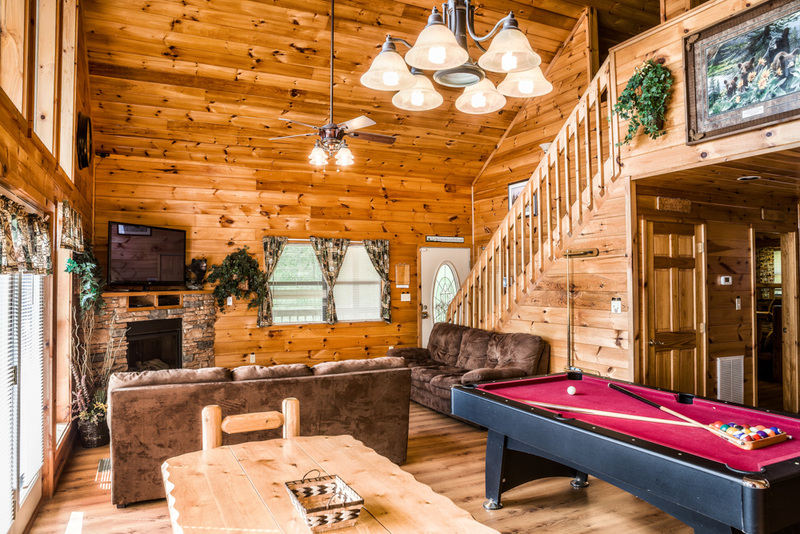 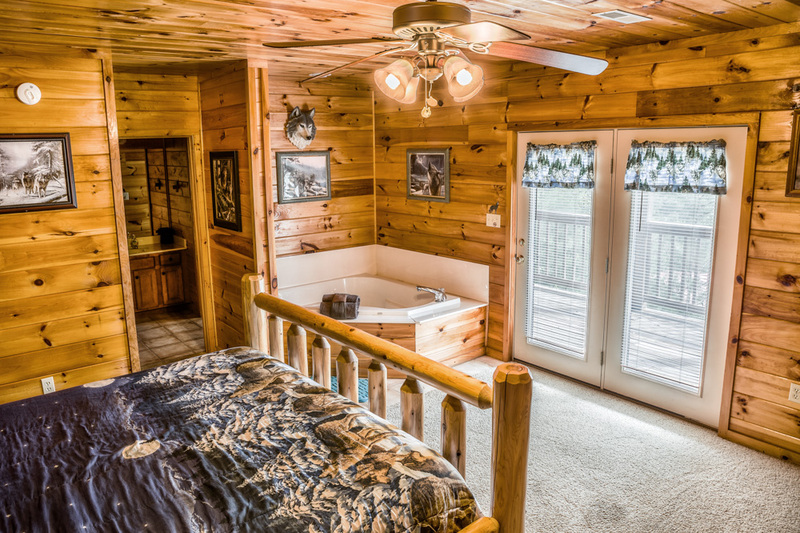 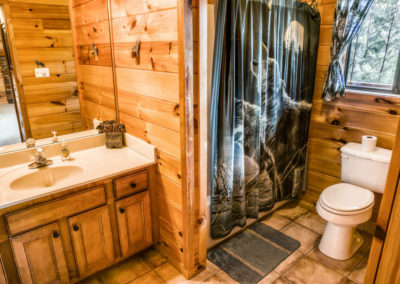 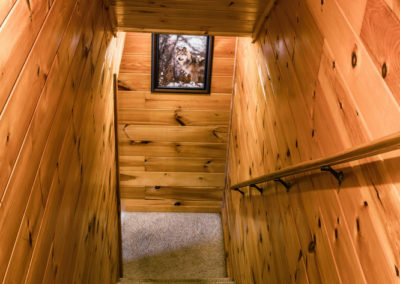 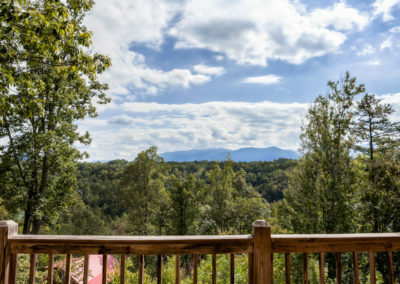 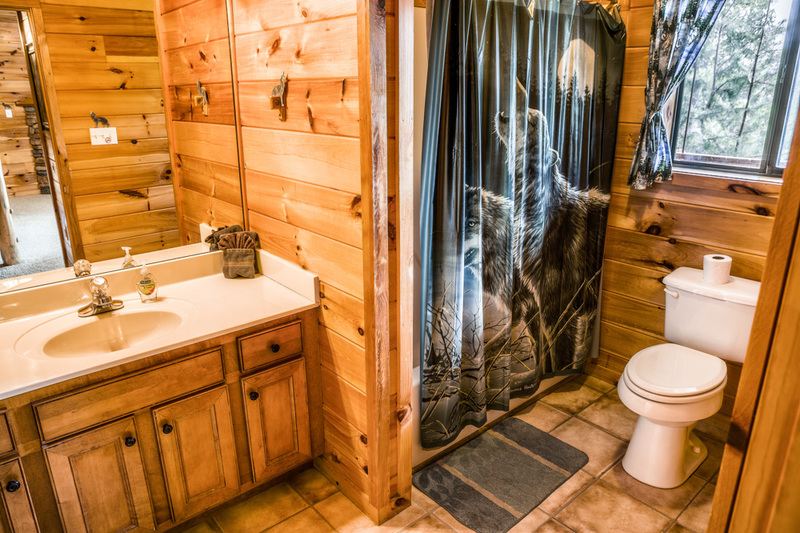 The Bear’s Eye View Cabin has breathtaking views and is secluded from the outside world, but is still only a few minutes away from shopping, restaurants, and attractions such as Dollywood, ziplining, mini golf, and unforgettably magnificent hiking trails. 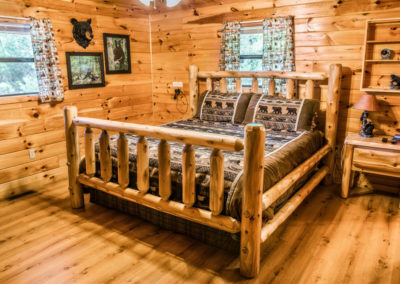 The interior of this cabin is attractively decorated with natural knotty wood, and many of the pieces of furniture are hewn to look as much like natural logs as possible. 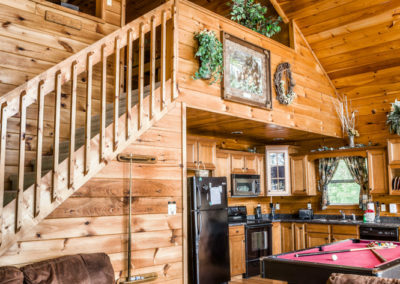 Staying in this cabin perched on a steep hillside, with tree branches brushing against the huge windows, will most likely give you the feeling of staying in an elegant tree house! 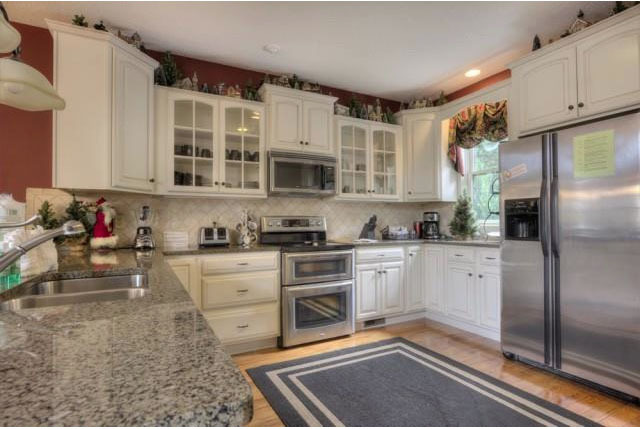 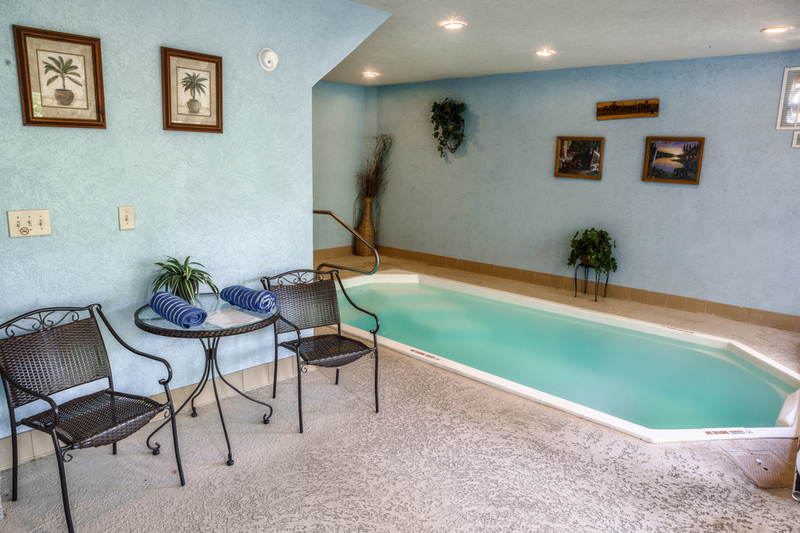 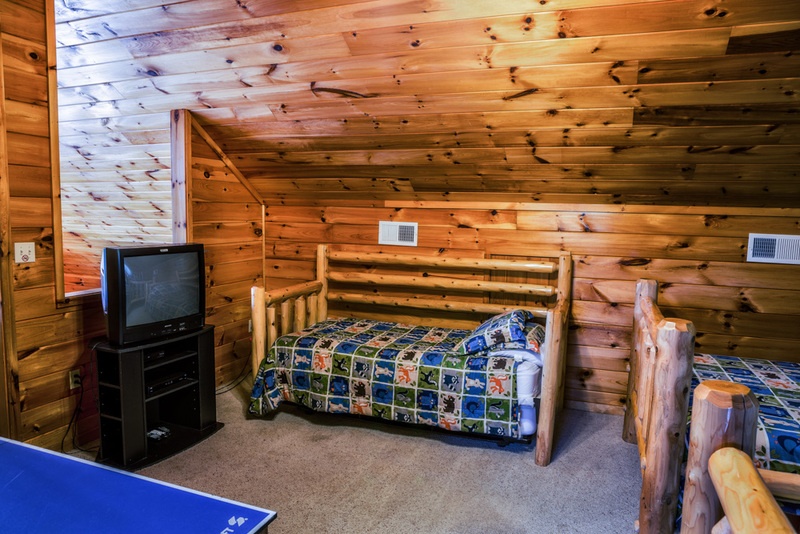 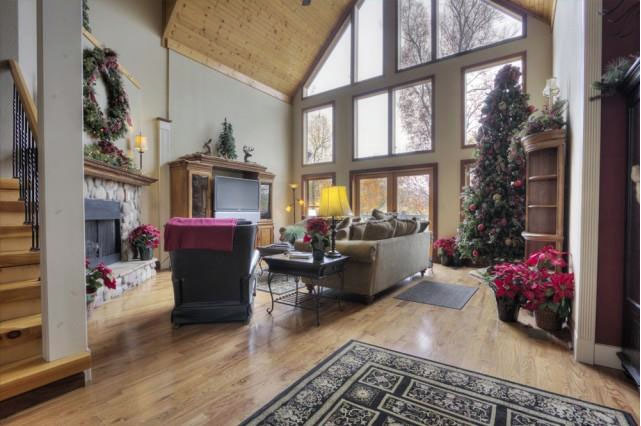 This cabin has so much to offer for you and your party’s utmost convenience and comfort. 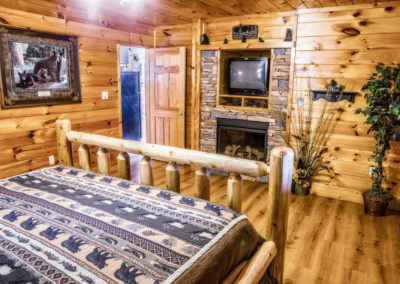 There is satellite TV, with a television in every bedroom. 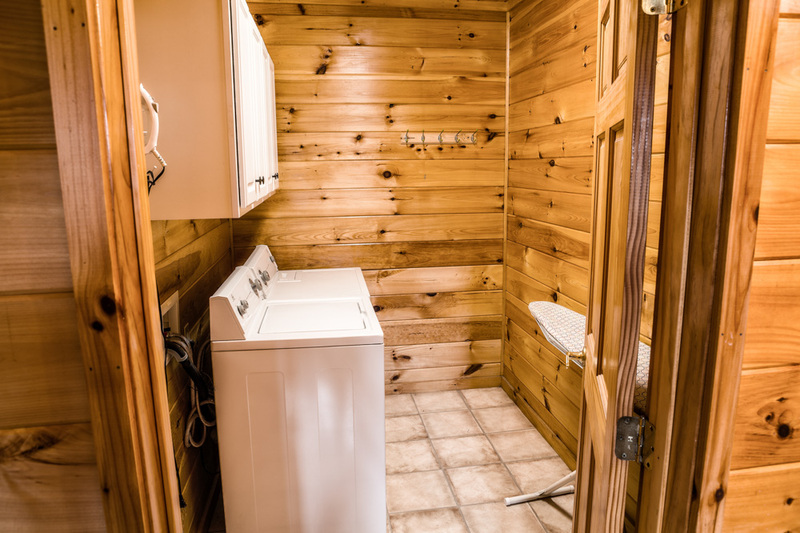 Free high-speed internet is provided. 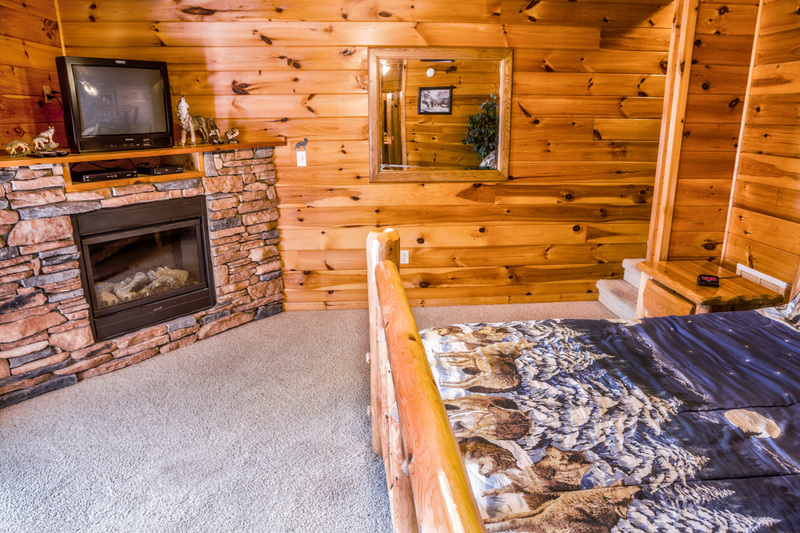 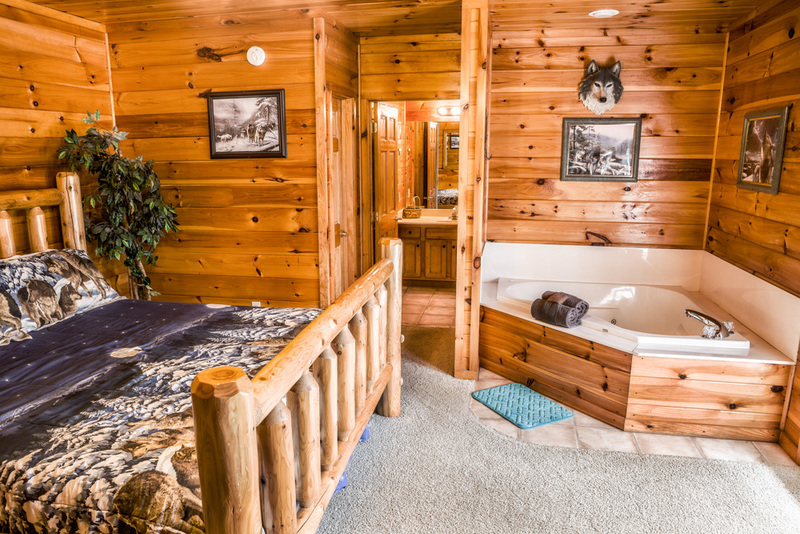 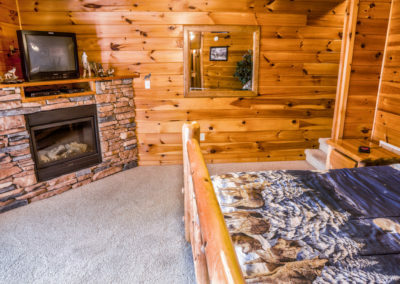 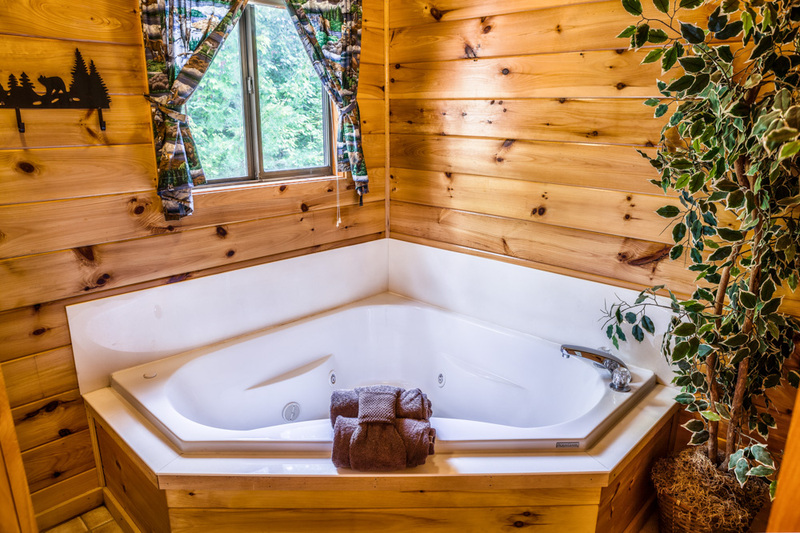 Two master suites are in this cabin, each with its own electric fireplace and jacuzzi tub. 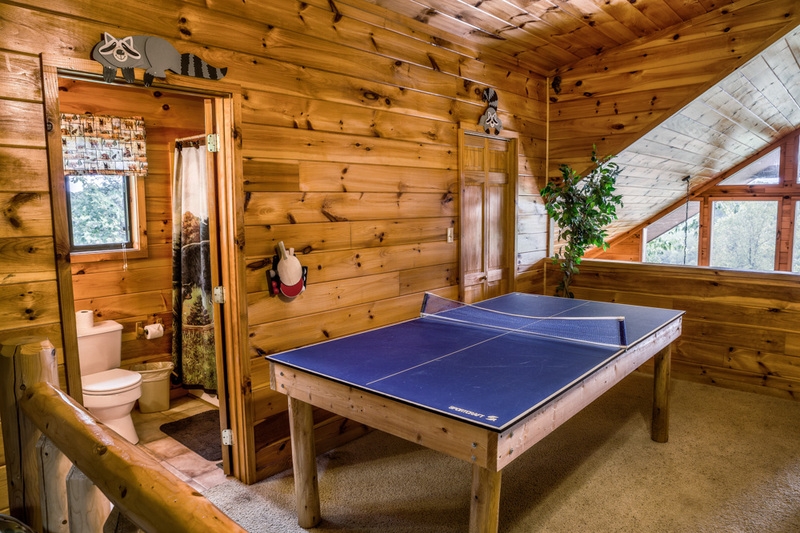 In addition to the gorgeous wrap-around porch, there is another private deck, plus a pool table and a ping pong table! 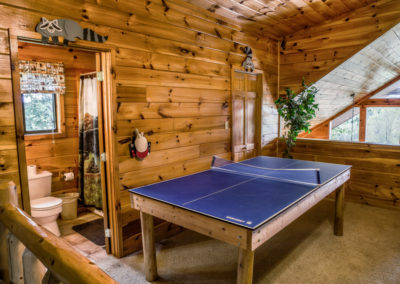 Please note that no pets of any kind are allowed in this cabin. 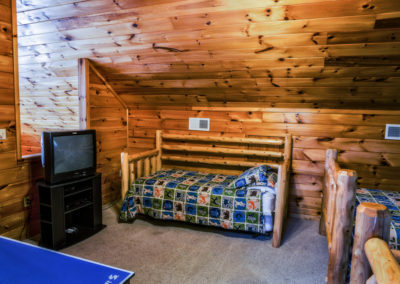 A daybed and a trundle bed are available if your party is too large for the amount of beds in the cabin. 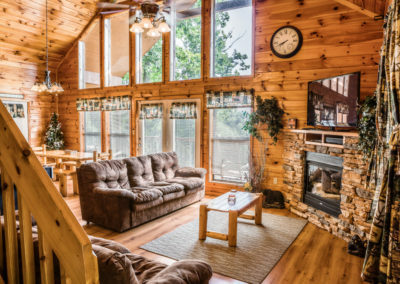 There are a couple of different payment options you can choose from when booking your stay, depending on the time that will pass between booking and your arrival. 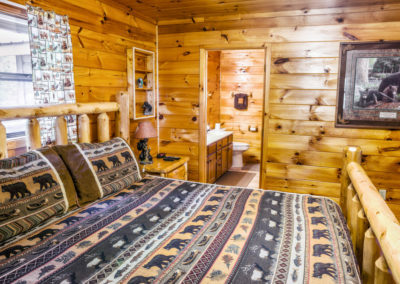 If you are scheduled to arrive within 30 days after booking, then you need to pay the full price. 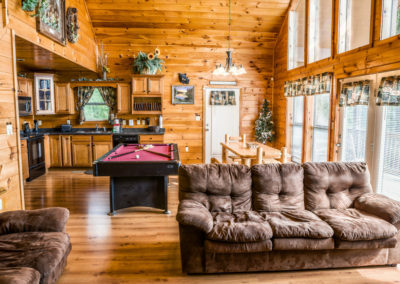 But, if you will not be arriving until after 30 days have passed, then there is a 2-part payment option you can take advantage of. 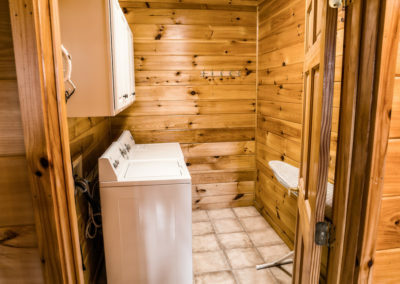 We accept all credit and debit cards. 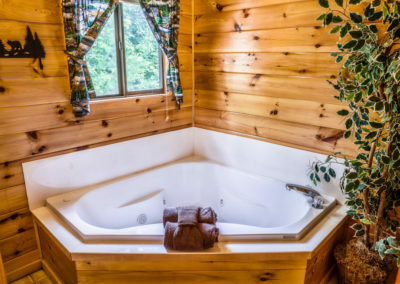 If you use American Express, you need to pay a 3.5% service fee. If you make a cancellation more than 30 days before you would have arrived at the cabin, then you will incur a cancellation fee of $150. 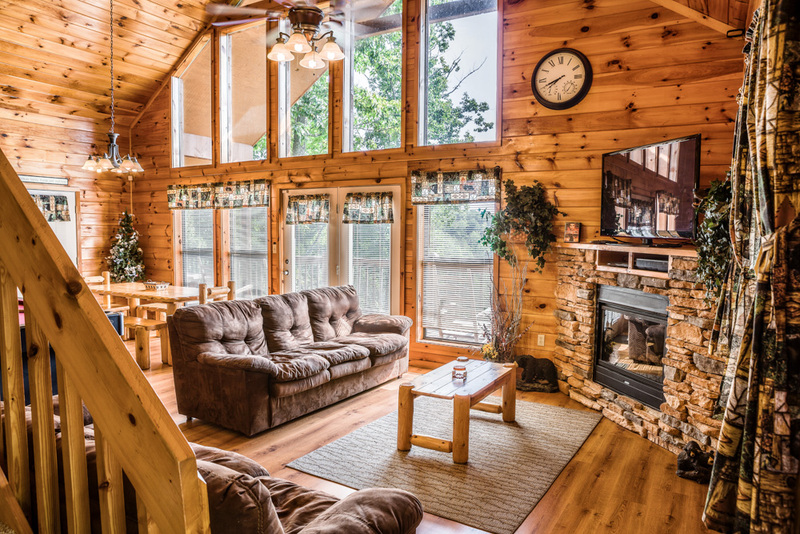 Be aware that cancelling within 30 days of your scheduled arrival will exclude you from receiving any refunds. 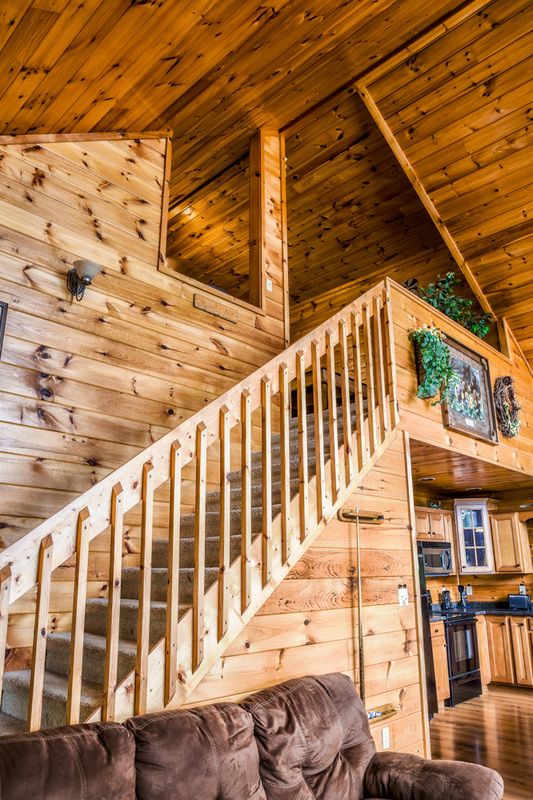 If you have any questions, please feel free to contact us and we will be happy to assist. 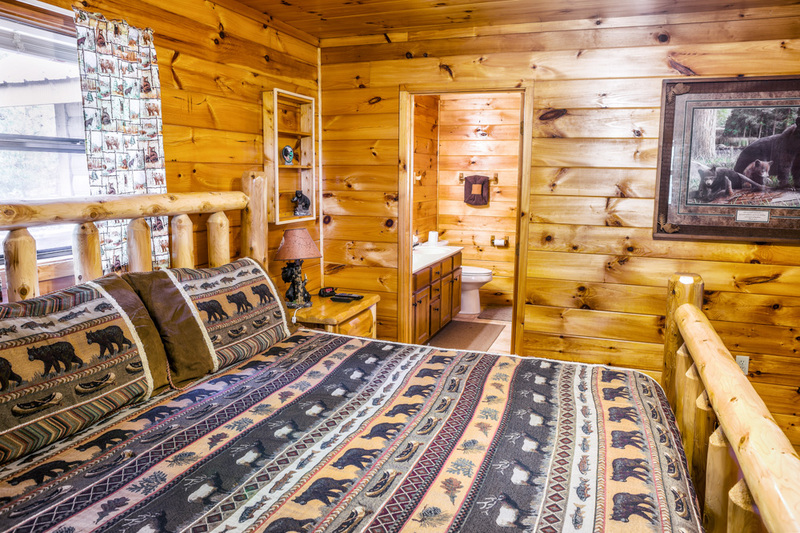 We look forward to having you stay at the Bear’s Eye View cabin!